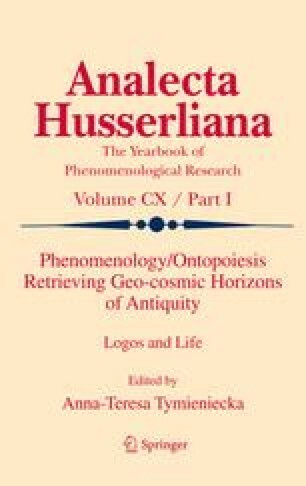 Centered upon the “logos of life” and the “creative human condition”, and being developed in terms of an integrator Apollonian vision about the universal harmony within the “Great Plan of Life”, the original phenomenological work of Anna-Teresa Tymieniecka reveals itself as a cogent urge to retrieving the signification of a major value: sophia – in the terminology established by the ancient Greeks. Taking it in a broader semantic openness, as wisdom in general – not merely a theoretical, but also a practical one, including moderation, too – this concept appears us even like telos – in the Stoics’ distinction from skopos – for human being in its self-individualization and self-accomplishment-in-existence. To approach sophia, that engages inquiry, insight, knowledge, reflection, comprehension, a complex practice of man-in-quest-of-wisdom, an elevated attitude toward the entire experience of life; seeing that sophia covers a telic oriented creative tension, an aspiration toward the attainment of an ideal situation. It represents a challenge for human becoming inscribed in a worthy movement as self-fulfillment in an aretaic horizon, which is one of sense-bestowing for the human being’s participation to the logoic flux and order in the “ontopoiesis of life”.